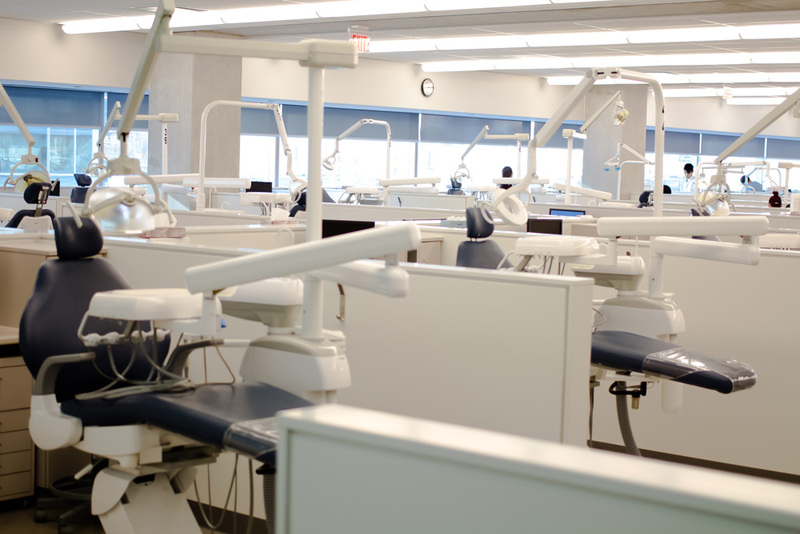 BaseVac Dental Dry Vacuum Systems was awarded the vacuum system supply for the George Brown College prestigious Toronto Waterfront Campus Dental School. 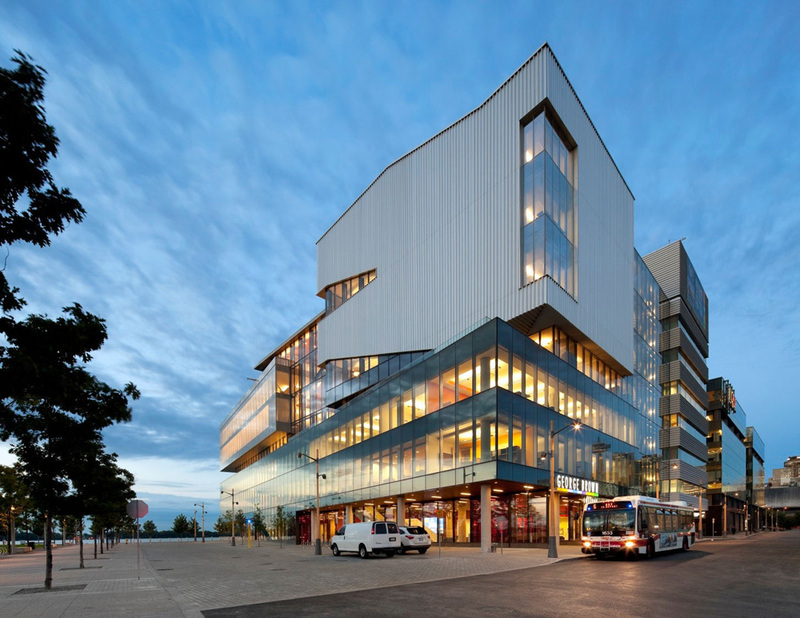 Located on the north side of Lake Ontario in the City of Toronto, Ontario, Canada the college has been the recipient of many architectural and academic awards. Based on the BaseVac success in universities across Canada, in dental schools, and teaching hospitals the engineers at Stantec Mechanical. Engineering evaluated BaseVac as a late entry in the bid process. The mechanical contractor responsible for installation was VR Mechanical. The engineers at BaseVac had worked with VR Mechanical at other large dental schools in both Canada and the USA. Primary function was to be hygienist study and operation. The order was placed with BaseVac with a scheduled delivery of 6 weeks from the receipt of order. 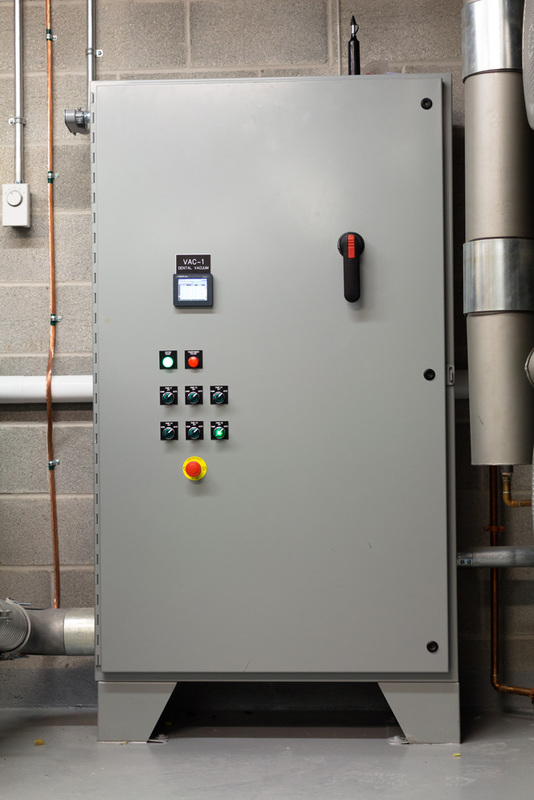 The final installation resulted in a BaseVac Model S500D 150 Hp Dry Vacuum System with a fully utilized PLC Control and Pump Optimization Control. 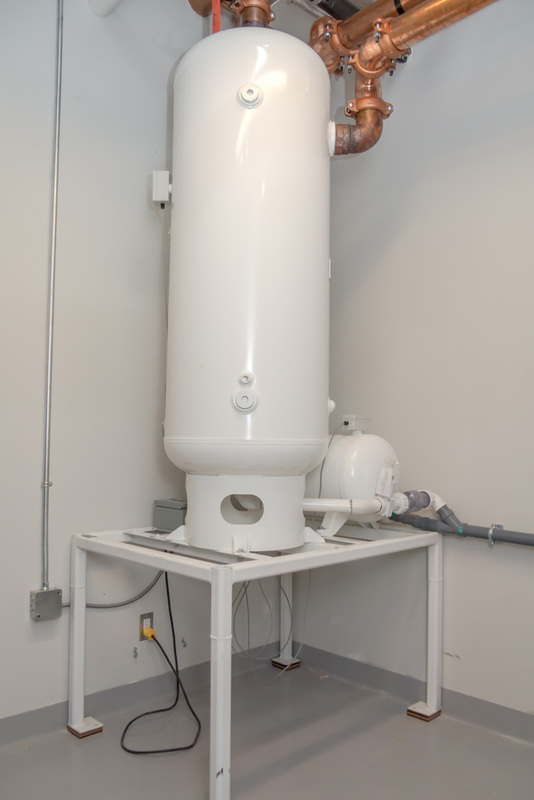 The supply of two BaseVac Continuous Run Air/Water Separators allowed for the collection of dental liquids at two separate locations in the building. This allows for continuous suction in the range of 12 to 18 Hg” with line cleaning and clinical studies to function simultaneously. A second single pump was purchased to be used on a nursing lab application. BaseVac Model S200D 7.5 Hp single pump with automated PLC Control was supplied. The system was designed to facilitate expansion in both user base and operational usage as the school and clinic evolves. through all major full service dental dealers.